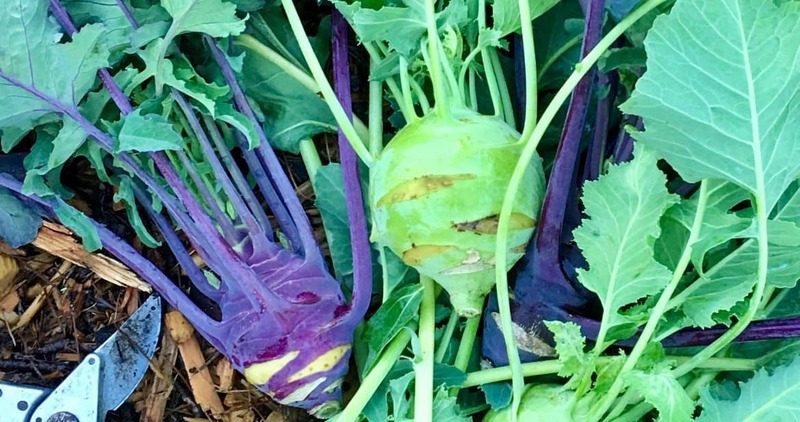 Crowded kohlrabi doesn’t bulb up properly, so transplant seedlings to 6-inches apart in an 18-inch wide row, or in an offset grid with plants 8 or 9-inches apart in all directions. Harvest spring sown kohlrabi promptly after it sizes up for that great crisp texture and sweet flavor. Giant types can hold all winter long with a little protection.